The EWCL okapi project group helped create a conservation education video focused on highlighting the importance of invaluable, and increasingly exploited, wildlife and natural resources in the Democratic Republic of Congo’s Okapi Wildlife Reserve (OWR) – using Okapi as a flagship species. 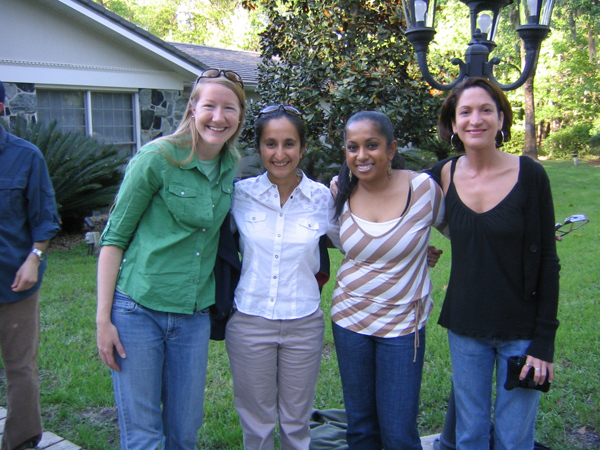 The EWCL Okapi Team’s objective was to build capacity for Gilman International Conservation’s (GIC) conservation education program in the Okapi Wildlife Reserve (OWR). The OWR, a world heritage site rich in natural resources, is located within the Ituri forest in eastern Democratic Republic of Congo. GIC’s education program promotes environmental awareness in and around the OWR by focusing on the okapi as a flagship species. The okapi, Okapia johnstoni, is a relative of the giraffe found only in the Ituri forest, and is the national symbol of the DRC. It is also an ambassador for the multitude of other species that share its forest habitat. Okapi numbers in the OWR are estimated at around 5,000. They are, however, under constant threat due to habitat destruction. To further capacity building efforts for GIC, the Okapi Team partnered with the International Conservation & Education Fund (INCEF) to train GIC’s Education Director, Marcel Enckoto, in conservation education film production. INCEF is an organization that is dedicated to building capacity among local populations to create and disseminate their own conservation, health and community awareness films and other media on issues of local importance. The Okapi Team raised funds from the Columbus Zoo and a Tampa Bay Chapter of the American Association of Zoo Keepers fundraiser to send Mr. Enckoto, who is located in the OWR, to INCEF’s film production training facility in Brazzaville, Republic of Congo. While at the INCEF facility, Mr. Enckoto received training in camera techniques, telling a story through film, editing footage using video editing software and evaluation methods. 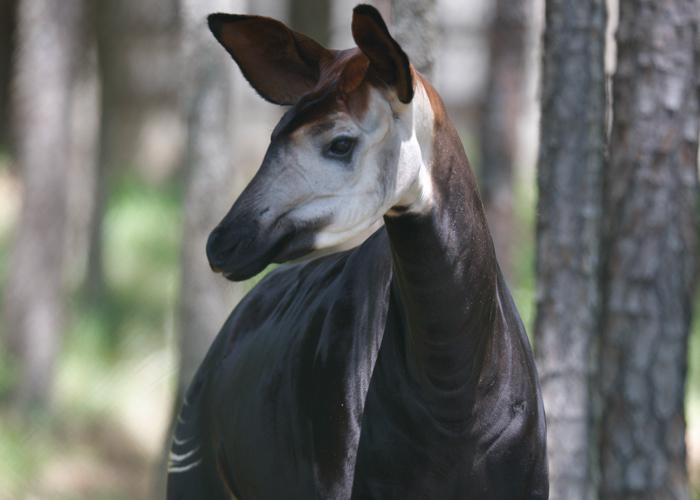 He then created a 6.29–minute video titled, “Okapi: The Unique Animal.” The film focuses on the okapi breeding facility in the OWR, the okapi’s importance and the threats they face. Since then, Mr. Enckoto and his staff have shown the film in numerous villages and schools within and around the OWR, and his reports evaluating public reactions to the film have been very positive. The film has been, and continues to be, very useful in promoting awareness of okapi conservation in key districts within the Okapi Wildlife Reserve. In addition, Mr. Enckoto has since continued producing conservation education films by taking the editing skills he learned at the INCEF facility, compiling footage, gathering interviews and editing footage at a local studio. He has already produced two films on zoning within the Reserve and is poised to create a film on mining and the extractive industries operating within and around the Reserve. Most importantly, Mr. Enckoto now has a tangible enthusiasm and a renewed vision for how he plans to enhance his education program at the OWR through the training he received. Support the Gilman International Conservation – Okapi Conservation Project. This project works for the conservation of the wild okapi providing security to the Okapi Wildlife Reserve, and supporting communities in and around the Reserve through agroforestry projects, conservation education, and promoting bushmeat alternatives.